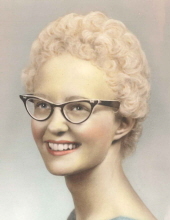 Janice Kay Kammerud was called home to her Lord and Savior on April 6, 2019, at the age of 76. Jan was born on December 21, 1942, the second daughter to Gordon and Gwen Peterson. She was raised in St. Croix Falls with her two sisters and was a 1961 graduate of St. Croix Falls High School. She married her high school sweetheart, Iver Kammerud, and they shared 58 years of marriage and raised their four children together. She will be dearly missed and survived by her beloved husband, Iver; sisters Peggy Peper and Kathleen Peterson; children Jeff (Penny) Kammerud, Brian (Stephanie) Kammerud, Julie (Jeff) Larcom, and Beth (Jim) Parson-Stauner; grandchildren Chelsea (Thomas) Kovar, Kyle Kammerud, Alisen (Tyler) Howard, Jacob Larcom, Joshua Larcom, Jessica (Isaac) Milkey, Evelyn Parson, Connor Parson; great-granddaughter Gianna Milkey, and two great-grandbabies due this summer. Jan was employed by Drs. Bretl and Thomas for 17 years and enjoyed adjusting and dispensing new glasses to patients. Her best friend was Kitty Seversen, almost like a sister and joined Kitty at a weekly bible study group for more than 20 years. They also got together weekly for a tea session so they could discuss the faults of their husbands and solve the world’s problems. Jan and Iver loved camping, which they did for over 50 years. In the end, there is no greater joy than knowing she is in Heaven as a believer in Jesus Christ, and that is what it is all about. Memorials preferred to the Inter Faith Givers. To send flowers or a remembrance gift to the family of Janice K. Kammerud, please visit our Tribute Store. "Email Address" would like to share the life celebration of Janice K. Kammerud. Click on the "link" to go to share a favorite memory or leave a condolence message for the family.